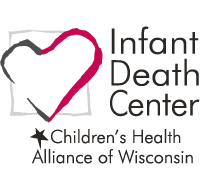 We want all emergency responders and hospitals to be pediatric ready. 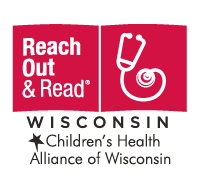 All children should receive the best emergency care regardless of where they live and where they seek medical care within the state. 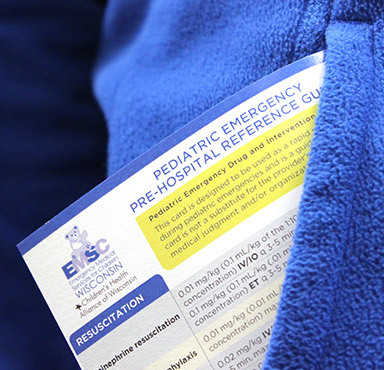 The goal of Emergency Medical Services for Children (EMSC) is to expand the capacity and improve the quality of pediatric emergency care, both before and after a child arrives at the hospital. 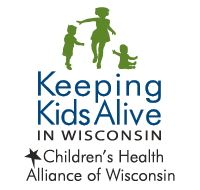 This can be accomplished through collaboration, advocacy, consultation and partnerships with agencies, systems and organizations working in emergency services statewide. 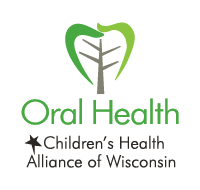 Learn about the physiological and anatomical differences between children and adults. 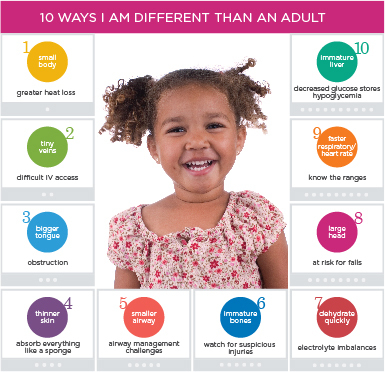 This infographic highlights 10 major factors that impact children’s emergency care. 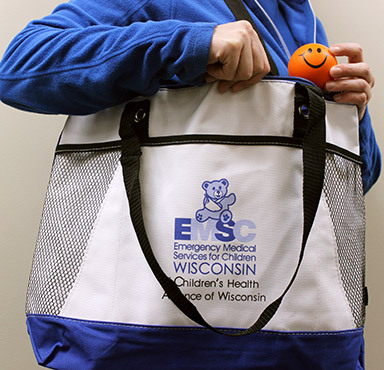 The EMSC Advisory Committee is responsible for guiding the EMSC Program. 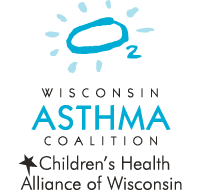 Membership includes pediatric and emergency/trauma care specialists (physicians, nurses), emergency response staff and family representatives. 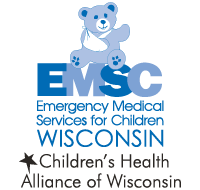 The EMSC Advisory Committee is a subcommittee of the Wisconsin EMS Board. 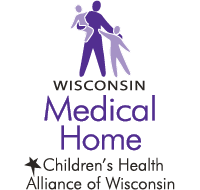 Visit the WI EMS Board website for the schedule of upcoming meetings. Meetings are open to the public.